HotelBrain’s owner and founder, Panos Palaiologos (R), and CEO, Konstantinos Zikos. In a memorable week, HotelBrain and the hotels under its management received a total of 16 accolades in recognition of its excellence in hospitality and many other achievements tourism award categories. 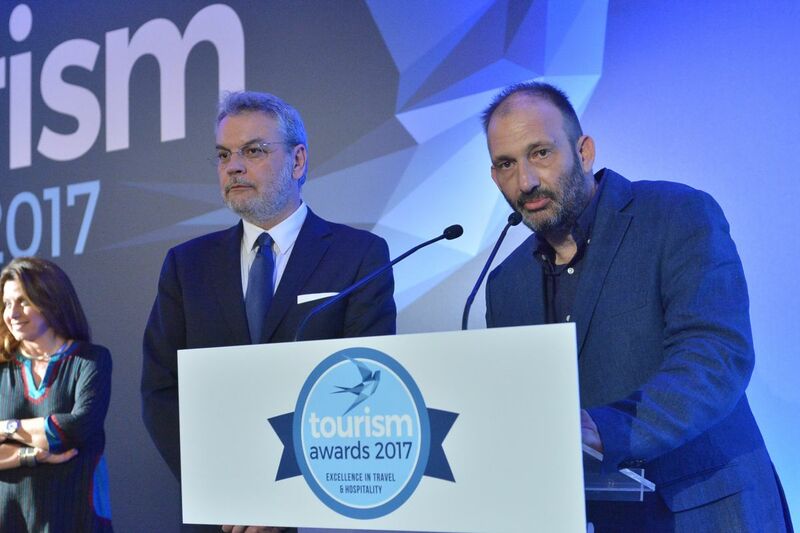 The Greek hotel management and consulting company and its partners picked up a total of 10 awards — five gold, three silver and two bronze awards — at the Tourism Awards 2017 ceremony on Tuesday, March 21. HotelBrain’s PR, Communication & HotelBrain Community Director, Flora Paraskevopoulou, receiving the gold tourism award for the #IntimissimiLovesSantorini project. 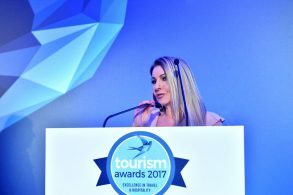 In its fourth year, the Tourism Awards rewarded the best practices of Greek companies and organizations in all sectors of travel, hospitality and leisure and applauded initiatives that encourage innovation and the quality of Greek tourism. 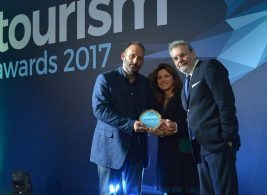 HotelBrain won the most awards at the 4th Tourism Awards. 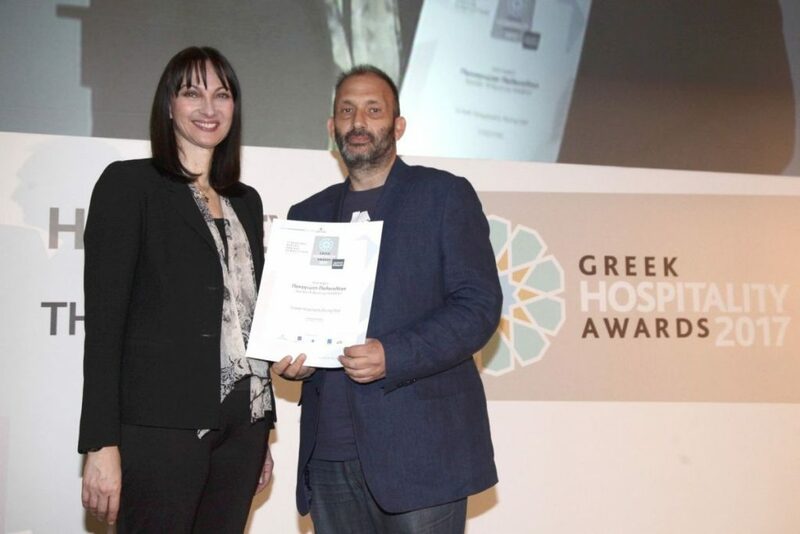 Two days later, the company’s president and founder, Panos Paleologos, picked up the “Greek Hospitality Rising Star” honorary title at the Greek Hospitality Awards 2017, held in Athens on March 23. Paleologos was honored for his company’s achievments since its launch in 2008. HotelBrain’s Panos Paleologos received the Greek Hospitality Awards honorary title of “Greek Hospitality Rising Star” for 2017 from Tourism Minister Elena Kountoura. Founded in 2000, HotelBrain consists the biggest hotel management and consulting company in Greece with 189 hotels in Greece under its management. The company also runs hotels in eight destinations abroad (Turkey, Lebanon, Cyprus, Serbia, Austria, Italy, Morocco and Montenegro). Over the last two years, HotelBrain has been honored with two European titles of “Europe’s Leading Hotel Management Company” at the World Travel Awards. Due to its innovative business model, the company is also part of the global network of Endeavor, a non-profit organization, which selects and supports the most promising companies around the world.